Ankle Impingement is commonly seen in active individuals and athletes due to accumulation of subclinical trauma to the area. Anterior Impingement: aka: "athlete's ankle" or "footballer's ankle". Caused by repeated dorsiflexion, microtrauma, and repeated inversion injury causing damage to anteromedial structures such as the articular cartilage. Further classified into Anteromedial & Anterolateral Impingement. Onset: Symptoms development may be insidious or in response to sudden injury. Posterior: Patients have posterior ankle pain intensified by forced plantarflexion or dorsiflexion. 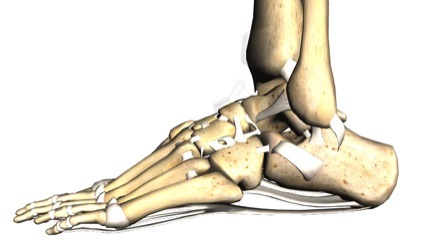 May also have joint line tenderness of the posterior tibiotalar joint (not involving the achilles tendon). Physicians use radiographs as a means of medical diagnosis, but any radiographic findings must be correlated to patient symptoms. The Foot and Ankle Ability Measure (FAAM) was developed as a region-specific instrument to comprehensively assess physical performance among individuals with a range of leg, foot, and ankle musculoskeletal disorders. Used to detect changes in self-reported function over time, as well as to evaluate the effectiveness of a specific intervention being delivered by a clinician. Instrument is divided into 2 seperately scored subscales, that include activities of daily living and a sports sub-scale. 3. Diagnostic injection is a local anesthetic administered into joint capsule and soft tissue, if injection relieved the symptoms it is a positive test. It is considered after conservative treatment has been tried first, at least 3 months. Treatment focuses on increasing available joint space for more mobility and less pain during activity. Liu S, Nuccion S, Finerman G. Diagnosis of anterolateral ankle impingement: comparison between magnetic resonance imaging and clinical examination. American Journal of Sports Medicine. May 1997;25(3):389-393. Ankle Impingement Syndromes: Diagnosis and Treatment, Shane McClinton, Regis University OMPT Fellowship, 2008. Robinson P. Impingement syndromes of the ankle. European Radiology. December 2007;17(12):3056-3065. Ankle impingement is common within certain populations of athletes who repeatedly dorsiflex or plantarflex and/or have a history of inversion ankle sprains and other microtrauma. Current literature favors surgical intervention as treatment. There is a limited amount of high quality evidence for conservative management. Physical therapy should include manual therapy and exercise that aim to increase mobility of the ankle joint and decrease pain with ambulation. Avoiding rotational mismatch of locking distal tibia plates depends on proper plate position. ↑ 1.0 1.1 1.2 1.3 1.4 McClinton, S. Regis University. Ankle impingement sydromes: diagnosis &amp;amp;amp;amp;amp; treatment. Available at: https://connect.regis.edu/p38686942/. Accessed on July 9, 2011. ↑ 3.0 3.1 3.2 3.3 Murawski C, Kennedy J. Anteromedial impingement in the ankle joint: outcomes following arthroscopy. American Journal of Sports Medicine [serial online]. October 2010;38(10):2017-2024. Available from: CINAHL Plus with Full Text, Ipswich, MA. Accessed July 9, 2011. ↑ 4.0 4.1 4.2 El-Sayed A. Arthroscopic treatment of anterolateral impingement of the ankle. Journal of Foot Ankle Surgery [serial online]. May 2010;49(3):219-223. Available from: CINAHL Plus with Full Text, Ipswich, MA. Accessed July 2, 2011. ↑ 6.0 6.1 6.2 6.3 Goode L. Ankle Differential Diagnosis. Office of Inspector General. July 2006: 1-2. ↑ Martin R, Irrgang J. A survey of self-reported outcome instruments for the foot and ankle. 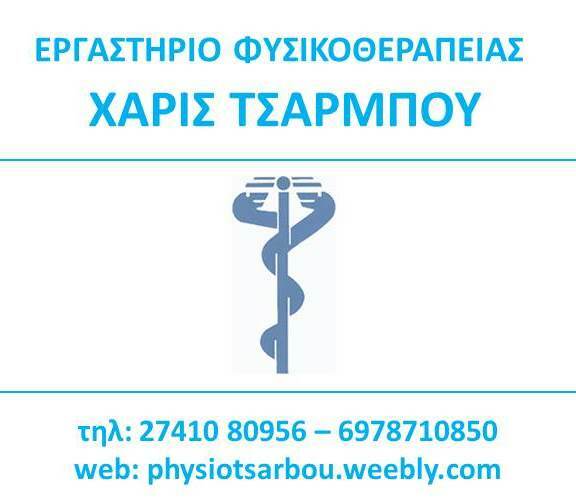 Journal of Orthopaedic &amp;amp;amp;amp;amp;amp; Sports Physical Therapy [serial online]. February 2007;37(2):72-84. Available from: CINAHL Plus with Full Text, Ipswich, MA. Accessed July 18, 2011. ↑ 8.0 8.1 Liu S, Nuccion S, Finerman G. Diagnosis of anterolateral ankle impingement: comparison between magnetic resonance imaging and clinical examination. American Journal of Sports Medicine [serial online]. May 1997;25(3):389-393. Available from: CINAHL Plus with Full Text, Ipswich, MA. Accessed July 15, 2011. ↑ 12.0 12.1 Galla M, Lobenhoffer P. Technique and results of arthroscopic treatment of posterior ankle impingement. Foot Ankle Surgery (Elsevier Science) [serial online]. June 2011;17(2):79-84. Available from: CINAHL Plus with Full Text, Ipswich, MA. Accessed July 2, 2011. ↑ 14.0 14.1 Hussan A. Treatment of anterolateral impingements of the ankle joint by arthroscopy. Knee Surg Sports Traumatol Arthrosec. 2007; 15:150-1154. Accessed July 15,2011. ↑ Coetzee J, Ebeling P. Arthroscopic Ankle Debridement Rehabilitation Protocol Website. Available at:http://www.tcomn.com/images/wmimages/onlineforms/Arthroscopic_Ankle_Debridement.pdf. Accessed July 15, 2011.